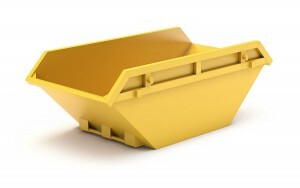 Skip Hire Services provides affordable skips in Leicestershire and the surrounding areas. Our range of skip sizes can accommodate all types of waste, with sizing starting at 2-yards for our mini skips right through to our 40-yard roll-on roll-off skips. We can accommodate all types of waste, from both domestic and commercial clients. Skip hire is one of the most affordable ways to remove your waste, as well as being one of the easiest. Different locations and skip sizes influence the price of skip hire, with the smallest and cheapest skips starting at just £60. We always provide the best skip hire deals throughout the UK, so for a bespoke quote tailored to your needs, request a quote today. Skip hire is very simple, and only takes a matter of minutes to organise. Request a quote to receive the cheapest skip hire prices in Leicestershire from trusted and insured professionals. Once you have a quote that you are happy with, book in the date and times for the delivery of the skip. If you need to place the skip on the council’s property (such as a road), a council permit will be obtained. Once you have filled up the skip, it will be collected and most of your waste will be recycled. We told you it was easy! Lockable skips are also available in various sizes, and are perfect when you need to keep your waste safe or prevent unwanted waste being added to your skip. 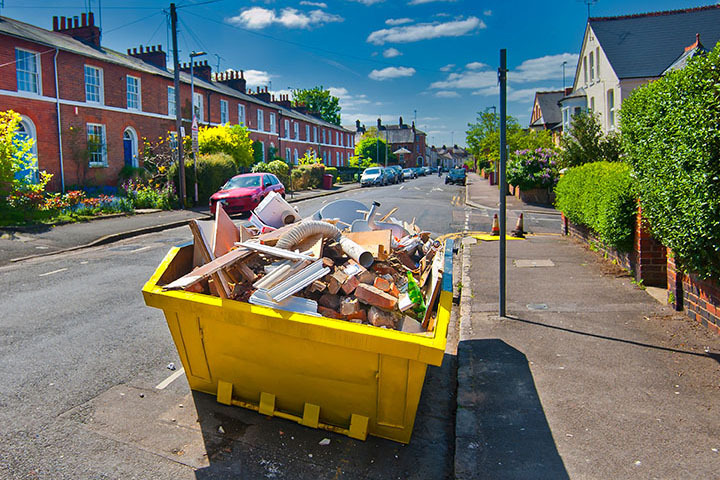 Skips that are hired and need to be placed on council land in Leicestershire, such as a public road, will normally require a skip hire permit. Permits are valid for varying lengths of time, and are generally acquired by your skip hire company. Skip hire permits cost from as little as £15, but can vary depending on location and permit length. If you place a skip on your own land, a skip permit will not be required. Let us know where you are planning on placing your skip, and we can let you know the skip hire permit costs. Did you know that skip hire is eco-friendly? A major aspect of skip hire is recycling and waste reduction. On average, more than 80% of your waste will be recycled, rather than ending up in landfill. As such, Leicestershire skip hire is a sustainable and environmentally friendly method of disposing your waste. If you want environmentally friendly rubbish removal or waste clearance, look no further! Skip Hire Services is a registered and licensed waste carrier throughout the UK, and we also carry £5million Public Liability Insurance. When you hire a skip with us, you can rest assured that you are in good hands. We are trusted by thousands of clients every month to deliver an exceptional service. Request a quote today to compare prices and receive the best skip hire deals in the UK. Our skip hire services are available to all types of consumers, from domestic to commercial and industrial clients. If you need a skip of any size and for all waste and requirements, we are your perfect waste skip providers. Whether you are a seasoned builder or a first time DIY amateur, you can trust Skip Hire Services for all of your skip needs.